In honor of the legacy Nelson Mandela left behind let’s all unite together and help Epworth keep food on its shelves this Winter. 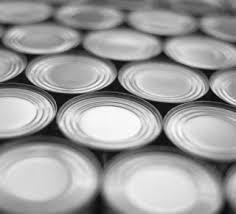 A Can… Can Feed a Child. Bake beans, Sweetcorn, Canned fruit, Fish (Tomato Sauce) No chilli please, Tuna, Jam, Mixed Vegetables & Tomato & Onion. Cereals , Coffee, Flour, Jungle Oats, Macaroni, Matbella, Pasta, Peanut Butter, Rice, Sugar, Syrup, Tea & Toilet Paper. Please note that we have 9 nine houses which we cater for, during the week we supply a cooked meal (supper), every week each house get a weekly basket to provide them with basics to cover breakfast and lunch. Any ‘spoilies’ would be welcome. All kinds of groceries are welcome: from dry goods; tin food; condiments; cleaning materials; toilet paper etc. Vegetable Garden – If you have greenfingers this is for you; the garden needs to be cleaned, fertilized and made ready for the next crops.